Australia’s domestic gas supply, for the first time in generations, is under enormous pressure. 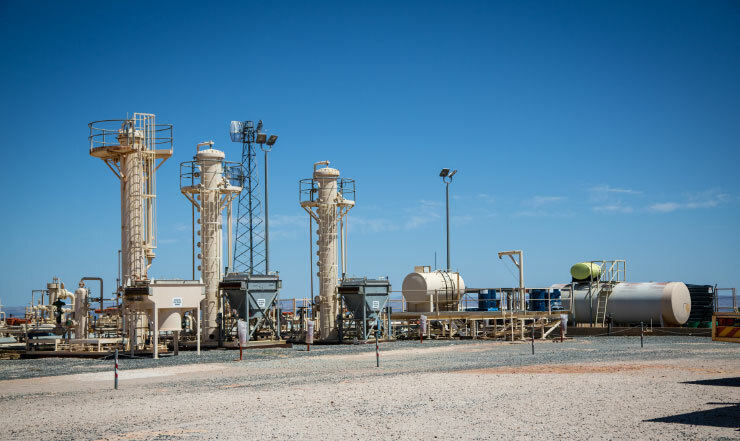 Over the next five years, the Northern Territory and East Coast gas markets will commission at least six LNG trains, more than tripling the current demand for gas in those markets. Supplying both the domestic market and LNG exports is possible, but only with increased exploration and production. Natural gas and LNG will continue to be the prime source of energy for industrial and domestic use for the foreseeable future, even as the effort to expand the supply of renewable energy advances. Natural gas is more than just a fuel for electricity – it is an essential input for key production, manufacturing and chemical processes that underpin our way of life. Modern necessities like fertilisers, glass, explosives and plastics require these hydrocarbons as a basic component for which electricity is no substitute. Until alternatives to natural gas are available, both as a source of energy supply and critical chemical commodity, it is quite simply critical to the Nation. Australia’s standard of living would retreat dramatically if we failed to recognise its crucial role in our daily life and failed to ensure sufficient gas supply is available at sustainable prices. This can only be achieved through active exploration, commercial development and the creation of an efficient domestic gas supply market. Australia as a nation has a golden opportunity in the natural gas industry. In the last five years we have seen gas prices increase three-fold. There is currently huge demand both nationally and internationally for our gas and there is no sign of deviation from this economic trend. For many years, Australia had suffered the tyranny of distance from demand but with the ability to overcome transportation barriers and our geographical proximity to Asia (now containing some of the strongest growth economies in the world) there exists substantial opportunity to supply growing international demand. The potential of Central Petroleum Limited (Central) is unparalleled within the oil and gas industry in Australia. An industry that is seeking to follow the success story of the US in its exploration for unconventional shale plays. The economic climate is right, with increase in gas prices reflecting a widely acknowledged gas shortfall, and the potential of the oil and gas industry in Australia set to see strong future growth. Central’s exploration acreage portfolio is world class from an exploration perspective with tenements covering areas with quality source rocks, and active hydrocarbon system. In the event of exploration success, they offer huge potential for Central shareholders at a time when the gas market has never been better. Central aims to be an innovative and reliable supplier of clean energy in Australia, by providing energy and improved economic security to both the local communities and the Australian people as a whole. Our program is to build a pathway to our future with the support of our stakeholders, shareholders and the regulatory environment. Central has always had the potential to achieve great things. With a centrally focused attitude, Central can maximise this potential for the benefit of Australia.